You could just carry an empty cup with you. Laying down on your belly is quite much. Having an empty cup to scoop water wouldn’t be a hassle. Problem solved, damn I’m good! Good lucky carrying a cup of water as you’re hiking up a mountain! Informative and entertaining… Thank you! What do you think about radio-logical filter products? Seems useful if you have to deal with these sorts of things, but I would imagine most people wouldn’t need to spend the extra money. People working in a facility that deals with those materials might want to think about it, though. I have checked these associations on the internet and do not find the company or the product name for this China based product. I don’t want to name the product since it is possible I may not be searching properly. Have you come across any misrepresentations? Removing metals is actually quite easy. Any carbon filter will remove chemicals and particles like these, and those are pretty cheap. Camelbak makes one called the Groove, but keep in mind this is just for tap water, and won’t do anything for bacteria or viruses. But yes, it’s possible to do a simple filter at this level of quality for $20. But it’s also possible that other options exist with faulty claims. 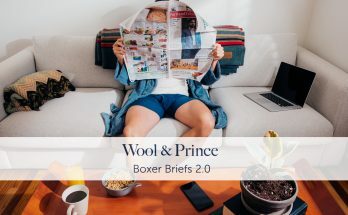 If you’re worried about this sort of problem, I’d look at established brands, since they have millions of people using their products, and it would be illegal, and very noticeable, for them to be making stuff up. I would not find it a problem carrying a water bottle along. Most outdoor stores sell water bottles anyways. And most hikers, campers and canoeists would have brought along their own bottle they already have. 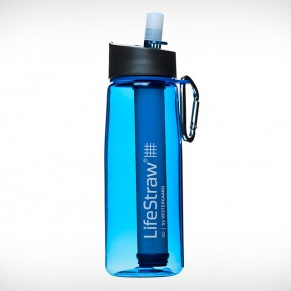 So if you need a drink, just dunk your bottle into the water source and use the lifestraw to drink from your bottle. Love the review. Great info about water filters in general. 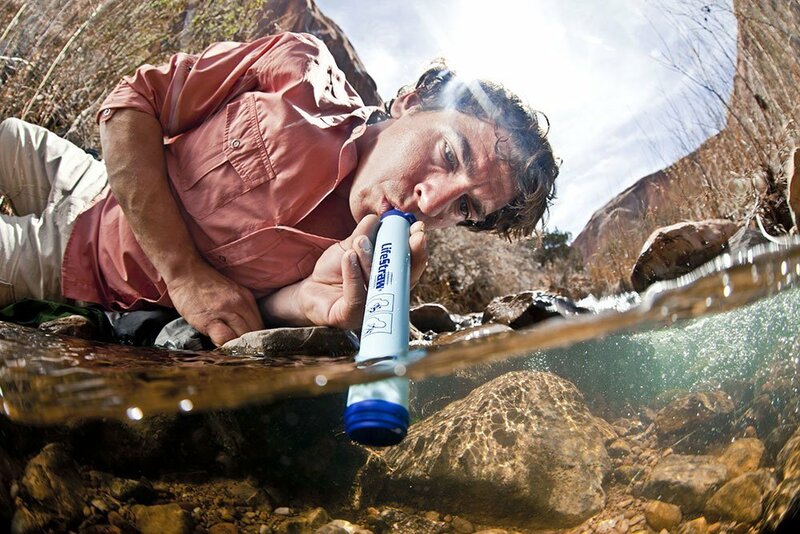 Im a proud owner of a Lifestraw and I love it. The downfall to it though is like you said, you cant go far from water without a bottle. It is a hassle to go through so many steps to get a drink from the creek or a bottle. Cant tell you how many times I’ve soaked my shirt to get water lol. That being said, I usually carry a 2 liter hydro backpack with me. Do you have any recommendations for a hydro pack filter that maybe hooks up to the mouth piece. Thanks for taking the time to write this article. Yup, it’s called the Sawyer Inline Filter and it works great. You stick it into the hydration bladder’s hose and that’s all. 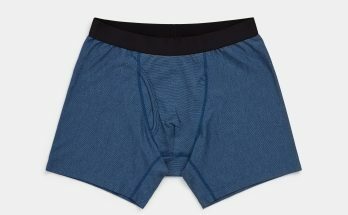 It doesn’t connect to the mouthpiece end; it attaches anywhere along the hose, but it’s most convenient when it’s near the bladder itself, since you just stuff them both into a hydration sleeve and you’re done, and it works as conveniently as a regular hydration bladder, except it’s a filter as well. I suppose you could hook something up to the mouthpiece, but I think this is easier anyway. I spend almost ALL my outside time near water…as many outdoor enthusiast do. Whether I’m fishing, kayaking, canoeing, paddle boarding, hiking, camping, it’s nearlly all done near water. 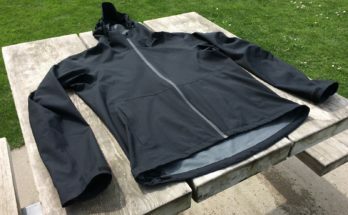 Your review is almost comical in its disregard for this very large, active group of water junkies…for us, this is perfect, especially when wieght and space are factors too. I have no problem with the bottle and can see it being a great product also but your review is a little to snarky for my thirsty palate. Thanks the page. I’ve now read it twice on two different occasions when researching bottles. We did make an impulse purchase of the LifeStraw and then tucked them in an emergency kit… *then* went about research bottles for an upcoming trip overseas. 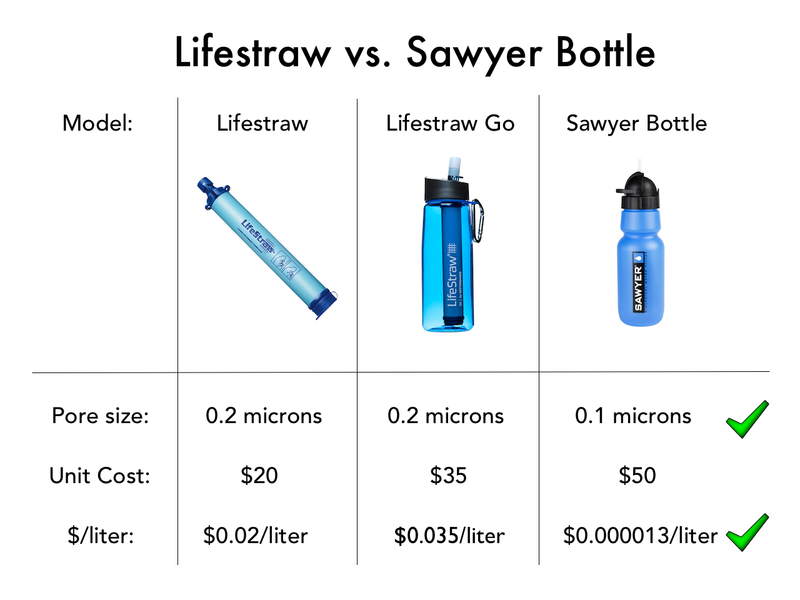 I haven’t seen any reference to the stats that Lifestraw give that the filter is .02 microns, not 0.2 as you’ve stated in your original article. BIG difference. 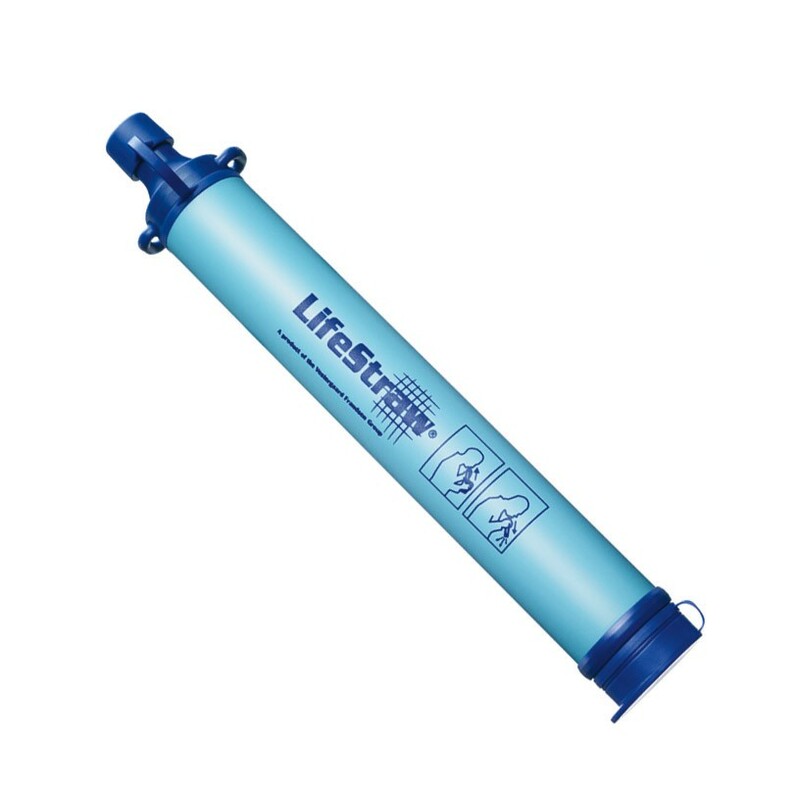 The Lifestraw and Lifestraw Go have filters of 0.2 microns; the Lifestraw Home and Lifestraw Family (larger, countertop-sized appliances) have filters of 0.02. Those are good. Since I will be living in China for a few months, and knowing how problematical tap and bottled water are there, I have been reading a lot about portable filtration methods. I will be taking a couple of Lifestraws with me for drinking even purchased bottled water as regulations are inconsistent and water company scandals have been many in recent years. I have read several posts here but have not found discussion of the Berkey filter which claims to eliminate dissolved solids, bacteria and other chemicals. I am also taking a Berkey shower filter even though I know they are sold there. Any comments? The Berkey’s filter bottle claims don’t mention viruses, although in larger Chinese cities I wouldn’t worry about that. The reviews are pretty mixed based on how hard it is to drink out of it, and how the seal can occasionally leak, which…come on, guys…it’s 2015. Can we not make water bottles that don’t leak? Oh well. Aside from that, it seems like it would work well enough. Check out the Water To Go Bottle, or anything on this page for more options.